President Barack Obama came to Republican-leaning Tennessee on Tuesday to pitch a new fiscal deal to cut corporate tax rates in exchange for more government spending on jobs, education and infrastructure. Obama was warmly greeted by nearly 2,000 employees and their guests at the Amazon fulfillment center in Chattanooga - a 1 million-square-foot distribution center the president hailed as an example of America's economic rebound. But GOP lawmakers generally spurned Obama's offer of a "grand bargain," claiming the president was simply repackaging proposals already rejected by Congress. "If we're going to break free of the same old arguments, where I propose an idea and Republicans say no because it's my idea, let me try offering something that serious people in both parties should be able to support: a deal that simplifies the tax code for our businesses and creates good jobs with good wages for the middle class," Obama said. The president said the U.S. corporate tax rate of up to 35 percent - one of the highest business tax rates in the world - should be cut to no more than 28 percent, and only 25 percent for manufacturing businesses. The 25 percent rate for manufacturing matches what Republican Mitt Romney proposed in his presidential campaign. Obama said reforming the corporate tax code by ending many tax exemptions and loopholes would allow the tax rate to be cut and still fund "significant investment in creating middle-class jobs." The president billed the proposal as the first of a series of offers he plans to make as part of a campaign to help the middle class and avoid a government shutdown when federal spending bumps up against the current debt ceiling this fall. U.S. Sen. Johnny Isakson, R-Ga., one of a handful of GOP senators meeting regularly with the White House on budget issues, lambasted the administration Tuesday for seeking to split corporate tax reform from individual rates. "You can't do that," Isakson said. "That'll never fly." The office of House Speaker John Boehner, R-Ohio, complained that Obama's plan was simply a repackaging of proposals the White House has always supported. U.S. Rep. Marsha Blackburn, R-Tenn. said "people in Tennessee don't want a 'grand bargain'; they want a plan to create jobs that cuts taxes, regulation, and litigation." Republican members of Congress skipped the speech, staying in Washington for congressional committee meetings Tuesday in advance of next week's August recess. The only member of the state's 11-member congressional delegation who attended was U.S. Rep. Jim Cooper, a Nashville Democrat. During the speech to a largely Chattanooga audience, Obama referred to Cooper as "your congressman." Republican U.S. Rep. Chuck Fleischmann is actually Chattanooga's congressman. Last week, Fleischmann sent out a mock post card lambasting Obama's policies. Fleischmann and other Republicans offered little support for Obama's offer to cut the business tax rate. U.S. Rep. Scott DesJarlais, R-Tenn, who also didn't attend, said Obama's speech "reflects he still does not grasp how jobs are created and an economy is rebuilt. His misguided approach of more government intervention might help create jobs in Washington, D.C., but not here in Tennessee." U.S. Sen. Lamar Alexander, R-Tenn., said Obama "is right about the need for corporate tax reform, but in order to be fair to small unincorporated businesses, corporate tax reform needs to be accompanied by reform of the individual tax code." Money saved from closing tax loopholes over the long term "should not be spent, but should be used to lower tax rates to make American businesses more competitive worldwide," Alexander said. U.S. Sen. Bob Corker, R-Tenn., another Republican involved in talks with the White House on a budget deal, said "the details matter in these things" and he looked forward to talking today with White House Chief of Staff Denis McDonough about Obama's tax proposals. While Obama offered the prospect of a lower corporate tax rate, he also continued to call for more government spending on roads, schools, research and education. He got the biggest applause when he voiced support for a higher minimum wage, immigration reform and his health care reform plan. Republicans blame Obamacare and government regulations for holding back the economy more than three years after the recession officially ended. House Majority Leader Gerald McCormick, a Chattanoogan whose district includes Amazon, said he was "disappointed" Obama's policies weren't more "middle of the road." "I was glad to see him in Chattanooga but wasn't terribly impressed with his speech," McCormick said of Obama's remarks. "The speech was pretty much a campaign-style, sort of a class warfare, anti-business partisan speech." But Obama insisted the economy grows best when it expands "from the middle out" and he urged Congress to fund programs to create more construction jobs and to end the budget sequestration cuts that the Congressional Budget Office estimates will cost the economy as many as 700,000 jobs this year. President Barack Obama boards Air Force One to depart from the TAC Air terminal at Lovell Field in Chattanooga, Tennessee, on Tuesday, July 30, 2013. President Obama visited the Amazon Fulfillment Center as part of his cross-country trip aimed at jump-starting his economic agenda. This was his first trip to the Scenic City since he took office as president. "If we're going to give businesses a better deal, we're going to have to give workers a better deal, too," Obama said. The president said he wants to create 45 new manufacturing innovation institutes around the country in the next decade and remove what he said are unfair tax incentives that encourage businesses to locate overseas. Obama said the U.S. economy has added 7.2 million private-sector jobs in the past 40 months and the U.S. is now exporting more goods than ever and is producing more renewable energy and natural gas than at any time in history. "We've cleared away the rubble from the financial crisis and begun to lay a new foundation for a stronger, more durable economic growth," he said. Despite the Republican criticism of Obama's spending plans and deficit budgets, state Rep. JoAnne Favors, D-Chattanooga, praised the president's speech. "I can't say enough how great it was to have President Obama choose Chattanooga to present his plan to grow the middle class," she said. 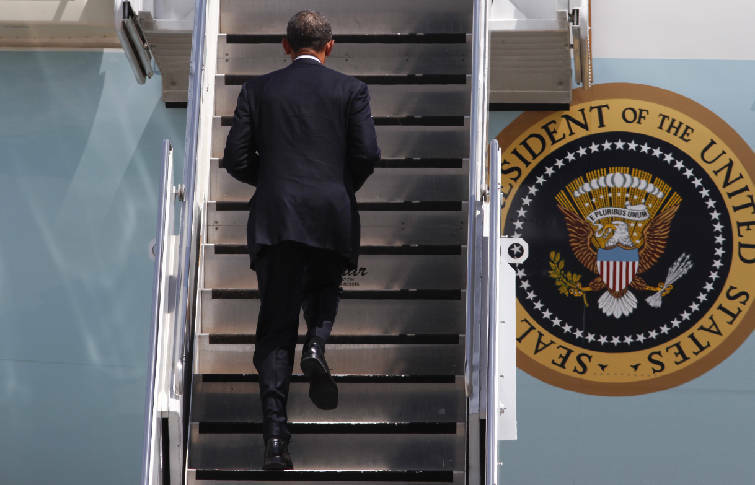 "Instead of launching attacks, President Obama is offering solutions." Contact staff writer Dave Flessner at dflessner@timesfreepress.com or Andy Sher at asher@timesfreepress.com.